As a mum, one book I enjoy dipping into from time to time is called French children do not throw food by Pamela Druckerman in which she shares her experiences as an American mum living in Paris. One thing she shares is the French notion of the goûter – the French afternoon snack. Goûter is the ritual snack time for French children and usually served at about 4.30pm each afternoon when school is out. There are some time-honoured treats served up for goûter; Le gâteau au yaourt (Yoghurt Cake), baguette et chocolat (a chocolate sandwich made by putting a small chocolate bar inside a baguette), and in Picardy, le gateaux Battu (or ‘beat’ cake). Le gateaux Battu is a specialty of the Somme area of France, and more specifically, Abbeville. It is basically a yeast cake, rich in butter and eggs. It is traditionally hand beaten and baked in a tall fluted metal mould that resembles a chefs hat. The end result, when baked in the correct mould, is a cake that I think most closely resembles the Italian panettone in shape and an airy brioche in texture. This cake is traditionally served either for breakfast with jam or for goûter. There are many recipes for this cake available – most are for relatively large cakes (think the tall chef’s hat mould) that call for up to 8-10 eggs (we won’t even talk about the butter!) So, to suit the home baker, today I baked the recipe for the Gateaux Battu Picardie as found on Esprit de Picardie, from Francis Freville, a baker from the Somme. I ad-libbed a little as I went so please feel free to check http://www.espritdepicardie.com for the original instructions if you are interested. 1. 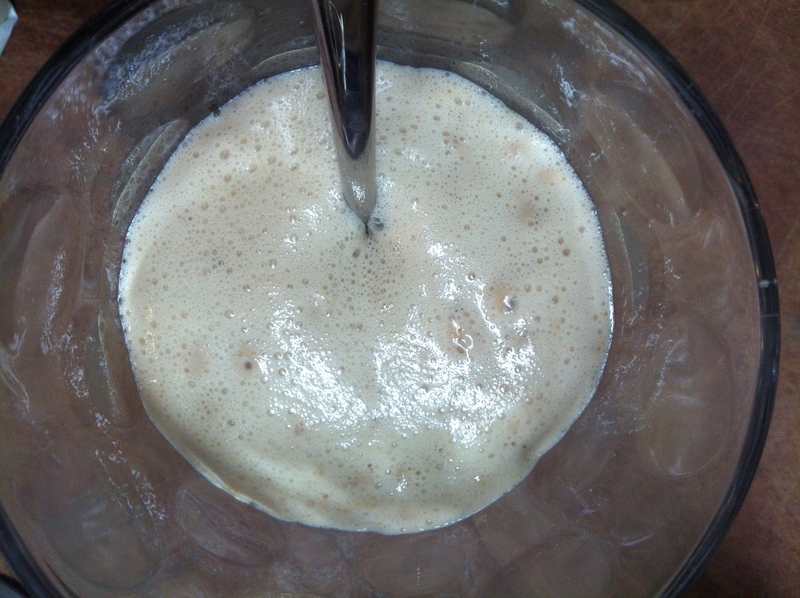 Activate your yeast by stirring it into a little warmed milk (about 50mls). Leave it for a few minutes until it gets frothy. 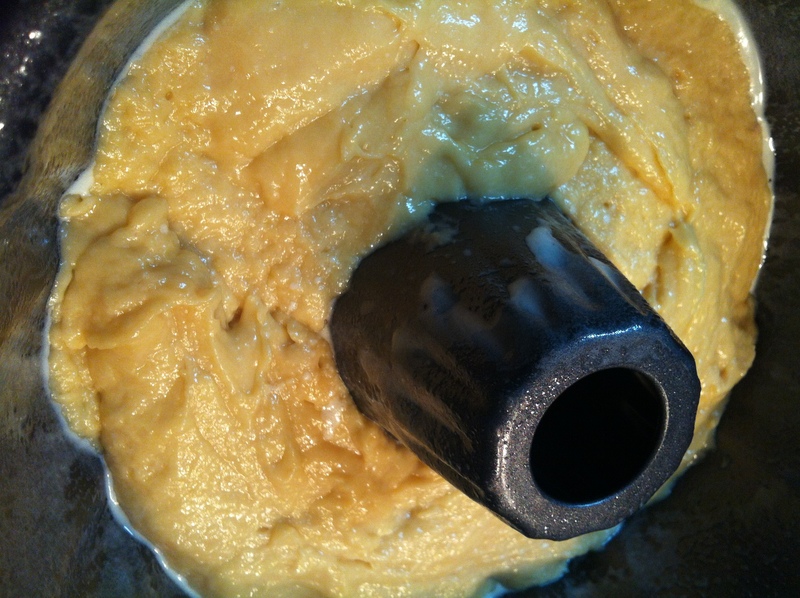 Traditionally beaten by hand… I used my mixer by force of habit! 2. Add flour to a bowl and make a well in centre. Add two eggs into the well and the yolk of the third egg (reserving the white). Then add the sugar, salt and melted butter. 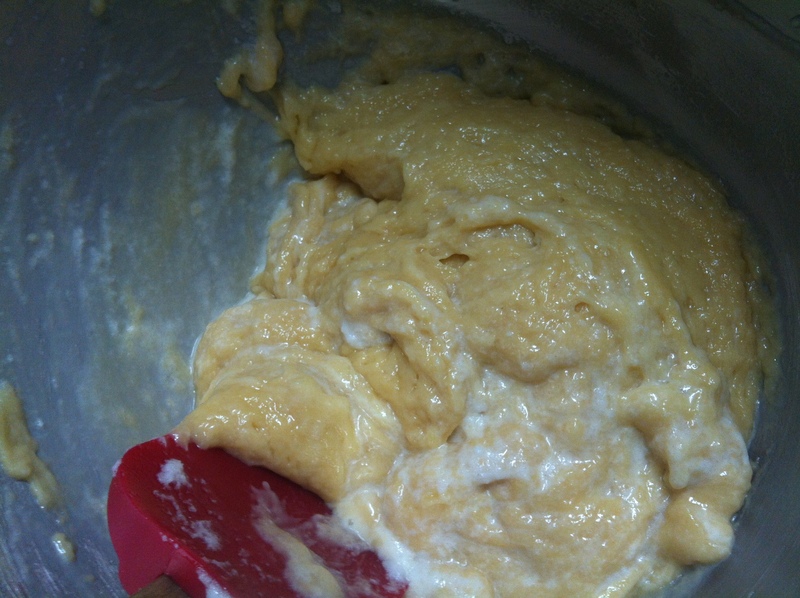 Mix to combine and then add in the yeast mixture and beat until a sticky dough forms – traditionally you do this by hand (I am assuming with a wooden spoon) however by force of habit I had the KitchenAid employed at the task without even thinking. 3. While the dough is beating, preheat the oven to 100 degrees celsius and then turn if off. 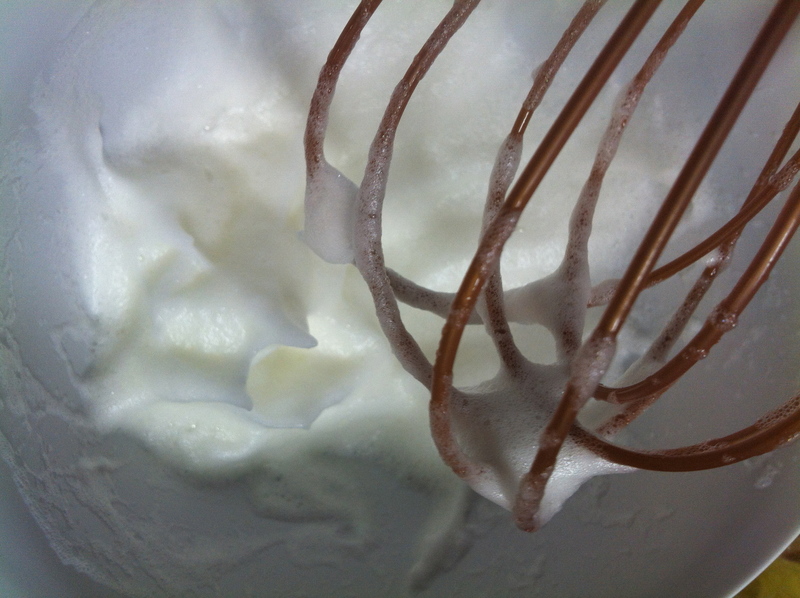 Grease your cake tin and in a separate bowl whisk your one remaining egg white until stiff peaks form. 4. 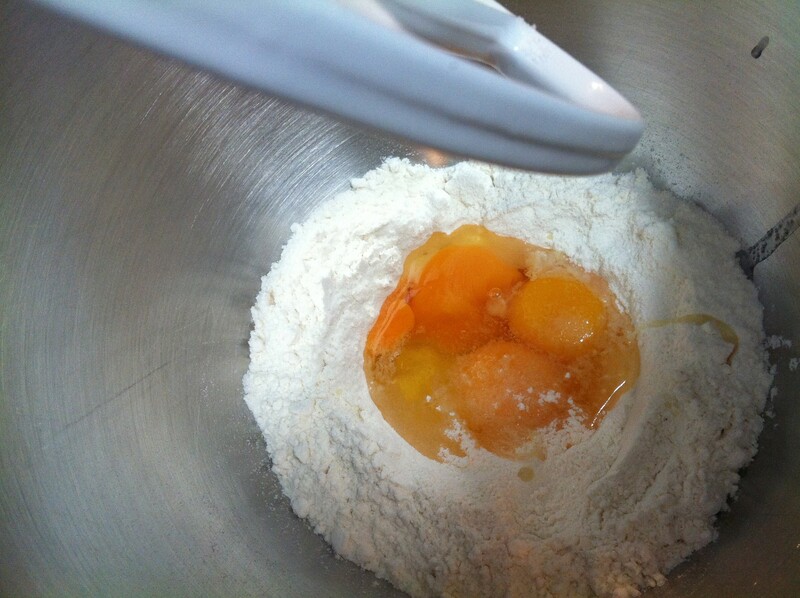 When the batter has come together to form a soft dough, gently fold in the beaten egg whites, and put the dough into the cake tin. 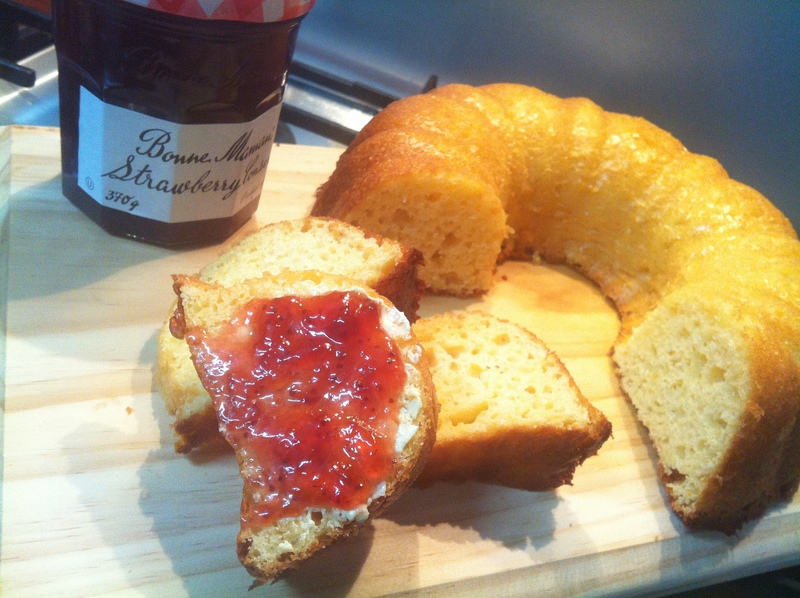 I used a standard kugelhopf mould for mine – battu moulds being hard (impossible) to come by in Melbourne! 5. Place your cake tin in the cooling oven (make sure it is not still too hot, it should feel comfortably warm) and leave to rise for an hour or so until doubled in height. When it has risen, gently remove it from the oven and turn the oven up to 180 degrees celsius. The recipe calls for 200 degrees however I found this to be too hot – it will depend on your oven so keep and eye on it. 6. Bake the cake for 30-35 minutes. Leave it stand in the mould for a few minutes before turning out onto a wire rack to cool. Serve for breakfast with jam and butter or for your own goûter!